you want is fine by us. We will get back to you by the next business day. Yes, I'd like to receive marketing ideas and updates from IM Marketing! 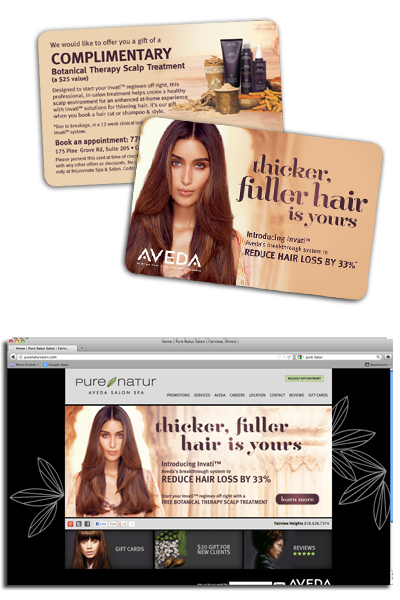 Tested, proven, and endorsed by Aveda, the pieces have been proved time and time again. 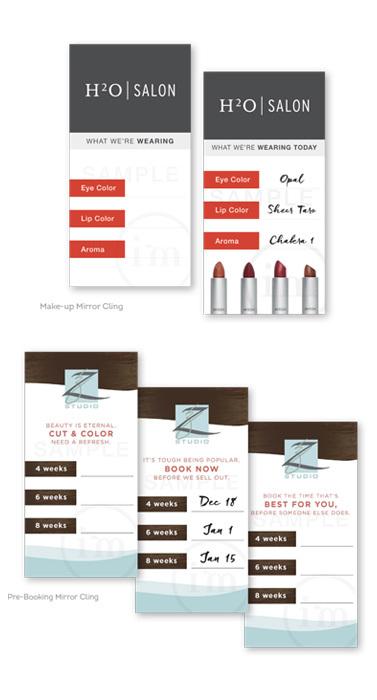 Pricing shown includes printing and shipping. Setup fee for new design not included, just ask for a quote! Rewards current and new guests. 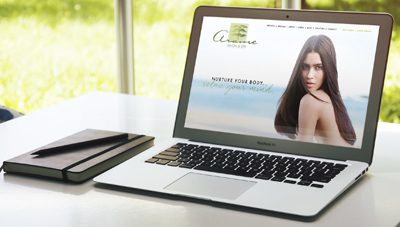 Proven results: 6-10 chair salons average16-50 new clients/month. Great for donations, networking and cross-selling. 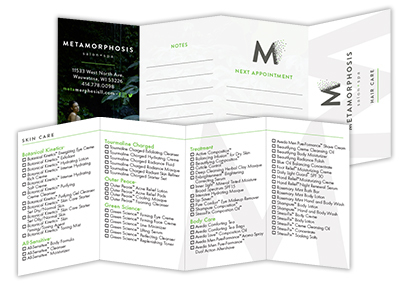 Increase service sales by offering add-on services to guests who are already in your door. 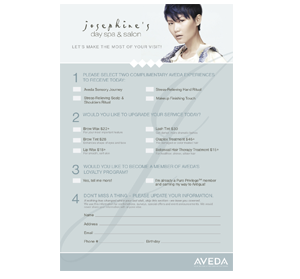 These multi-purpose pads keep your database up-to-date and hold your team accountable for performing Aveda rituals. Each pad includes 150 sheets. 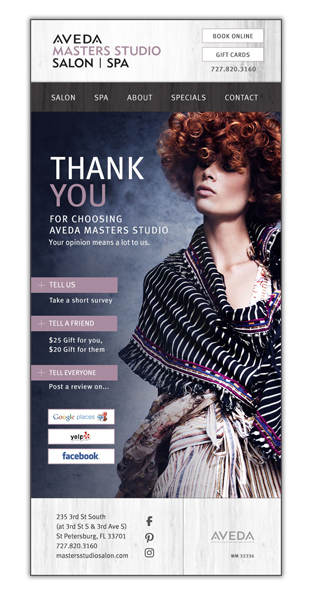 Put pre-booking and retail recommendations front and center at your stylist stations. 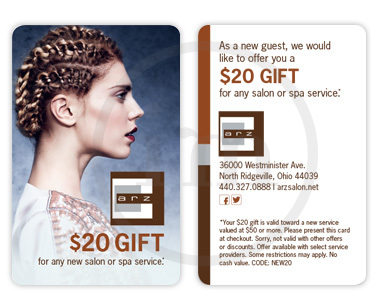 Promote color services to your long-time cut & style guests with an automated recurring email. Every guest deserves a movie-star-moment. And every salon deserves a little credit on social media. 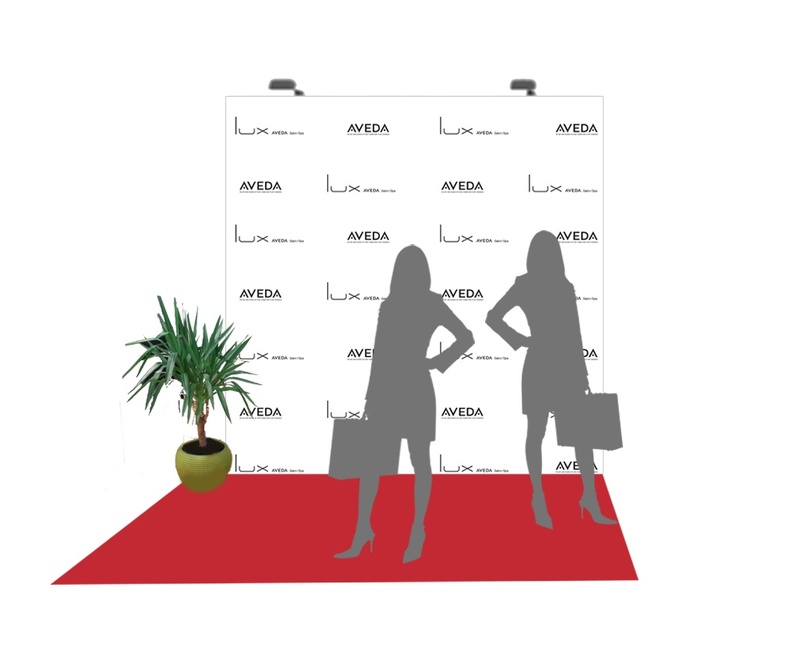 Pull-up banner options available for smaller spaces; ask for details! 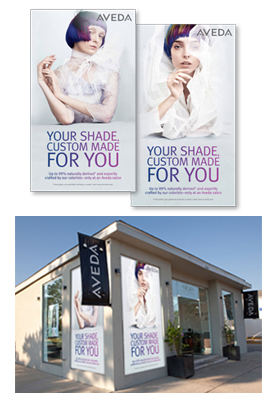 Utilize your valuable window space with high-impact signage. Printed on a cling material, these vibrant panels can be easily removed without any residue. pricing varies, ask for a quote. Also available as in-store signage. Increases frequency of appointments and retail sales. updates with every product launch. 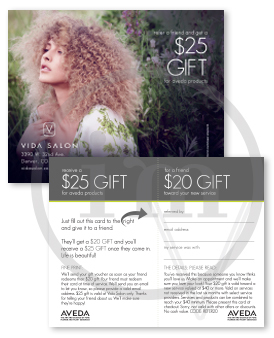 Monthly Aveda subscription: 30 posts $125/month. 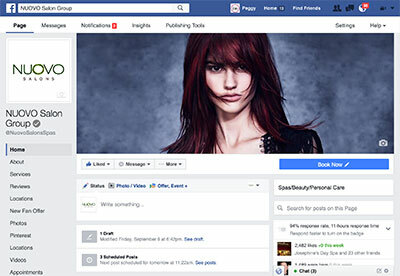 Combine with Fashion & Trend: 60 posts for $175/month. To boost service and retail sales. © 2019 Imaginal Marketing Group®. All rights reserved. Imaginal Marketing, IM Marketing Group, IM Marketing and Imaginal Design are registered trademarks of Imaginal Marketing Group since 2005.